Micah is from Vancouver Island and was found last week in severe condition in need of immediate vetting. We are sharing his story to (1) ask the community for support for baby Micah as he is a local dog and (2) to raise awareness of the dogs that are needing help here on the island. We often hear that people honestly didn't know situations like this happen here- we are sharing this to tell you they do and often! We hope to bring awareness to the issues we have on our island and in BC, this is NOT an isolated incident and we are constantly turning local dogs away that are in dire need like Micah because we cannot keep up with the demand. Please donate to help Micah and dogs just like him, there will be more as there always is. 8 month old Micah was found on deaths door last week with over 7 gaping and severely infected cuts, so infected that he smelled of rot, flies were landing on him and maggots we infesting his deep neck and ear wounds. We took Micah in. With the rescues who save only local dogs being full as they usually are, and the rest only taking on imported dogs because apparently there aren't enough here to save, we were Micah's last chance. Without immediate vetting Micah would have died. Micah spent the past week under the constant care of the Central Island Emergency Vet Hospital team in Nanaimo. After 30 hours of IV fluids and pain meds, he was now stable enough for surgery. He underwent several surgeries over the next few days to flush out and close his painful gaping wounds. (2) We also took on a similar case just the week before Micah came in that has not been made public yet. Ayla had a slash in her leg that went to the bone, had she not received surgery she would have lost her leg or worse, her life. Ayla has cost over $2000. (3) The remainder of the money went to pay the vet bills of 2 dogs on Vancouver Island that were continually giving birth to sick puppies as their owners could not afford to spay them. The first of these dogs was on her 4th litter and giving birth to pups covered in demodex mange and infection, many of which did not survive, the remainer taken into our care, for a whopping bill not included here. The other of these dogs was pregnant when we brought her in, she ended up requiring an emergency c-section where she lost 4 of her 12 puppies (there is no vet where she came from, if we hadn't have said yes to her case, she would have perished giving birth.) Once the pups we're weaned and she was healthy enought to be spayed she was returned to her family and the puppies were sent to a partner shelter as our rescue was full- we spayed both these dogs and covered their vet care simply to end the cycle of puppies because we believe in ending the root cause: overpopulation. So there you have it, how easily $7000 disappears! We want to say yes without having to hesitate to the next dog, puppy, or Momma dog asking for our help with us being their only option. If we say no, they die, it is no different than the sensationalized 'kill shelters' that the import rescues get dogs from in the US but it's happening HERE and it's happening NOW and it's not going to stop overnight, we need the community to support us to save the dogs we have here that have nobody. 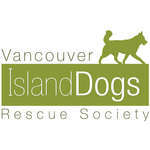 So, when you donate to this fund every red cent of your donation goes to help a dog, most likely from Vancouver Island, but guaranteed to be from within Western Canada. Think Local. Act Local. Be Local.